The BioStone Basic uses compressed carbon block technology. Its 3-micron rating will help reduce chloramine – a disinfectant that GAC (granular carbon) won’t touch. The Basic will outperform any GAC filter – regardless of micron rating – without channeling which saps performance. The Basic also offers you Scale Guard to protect your ionizer from hard water damage. 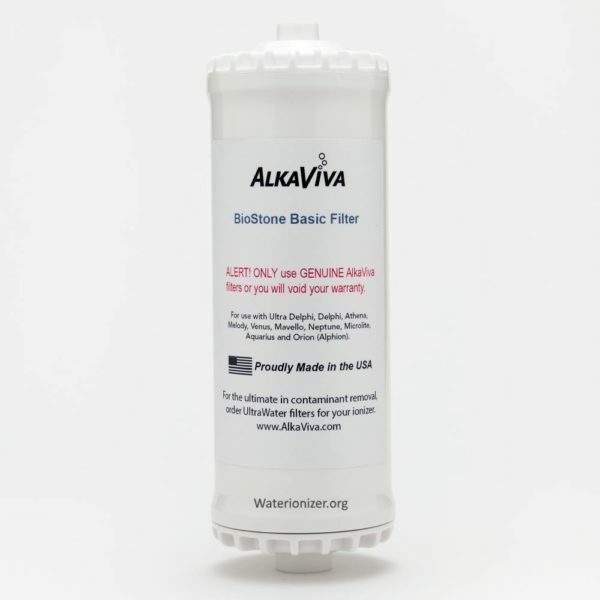 Why are BioStone filters the best? Let’s start with WHY other ionizer filters are NOT! Granulated Activated Carbon (GAC) “channels” water – meaning water creates distinct channels in the carbon bed. Filtration is not at all uniform and only a small part of the surface area is used reducing performance. Granulated Activated Carbon is well known to not reduce a most of the scary contaminants being found in water today. Some companies sell you on .01 micron filtration. They say it is used in Kidney dialysis. While it’s true, they don’t tell you that the hollow membrane fibers that allow the .01m rating ONLY reduce biological contaminants. These filters actually do a poor job at removing chlorine and chloramine, heavy metals, volatile organic chemicals etc. Some companies offer test results that are woefully incomplete. While the results may look impressive they lack any protocols, such as flow rate etc that play a crucial role in performance. You could easily say smoke and mirrors. Carbon Block. 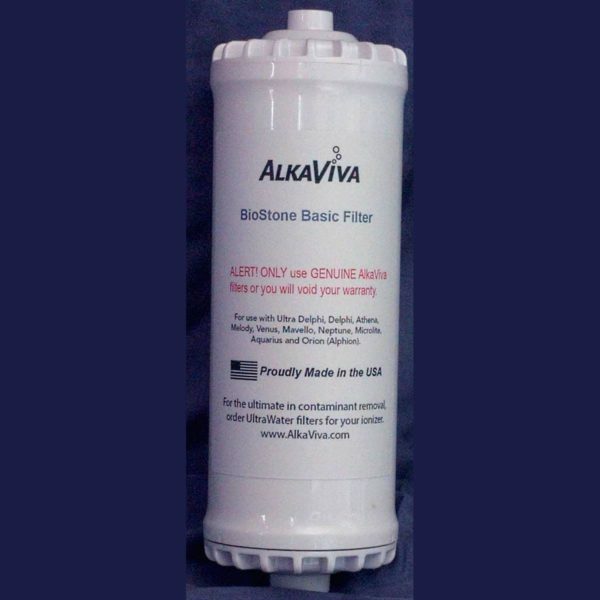 All our BioStone filters – Basic, Plus, and UltraWater – employ Carbon Block technology. Carbon Block offers more surface area and therefore more contact time than GAC, meaning more protection for you. Compression Technology. Our Carbon Block is compressed, not sintered or extruded. This provides better performance, is more stable and offers longer life. No Channeling. Carbon Block DOES NOT channel, meaning far superior performance. No bacteria. Our BioStone is impregnated with Silver to inhibit bacterial growth – common in most carbon filters. Certified Testing. We have current, complete, transparent testing done by an independent EPA / NELAC certified labs. Our testing protocols are right there in our test documents and each one is certified.